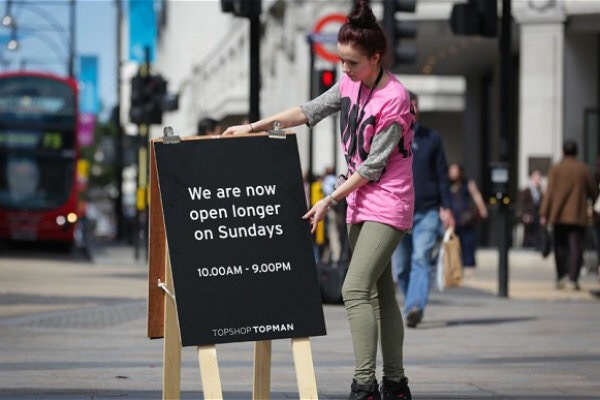 Ministers are facing legal action from the Keep Sunday Special Group, in order to stop them from going ahead with plans to extend Sunday trading hours. The Government has been issued with a “letter before action” group, which outlines plans for a judicial review on the proposals to allow councils to increase selling time on Sundays. According to the campaign, the evidence used by the Government is outdated and an assessment carried out on the potential impact on family life has not been published. “We do not enter into this action lightly, and do so with a heavy heart,” said a spokesman for the Keep Sunday Special campaign. “Longer opening hours will serve only to benefit out of town stores, whilst hurting high streets, post offices and small shops – resulting in a net loss of jobs to the economy,” said Association of Convenience Stores Chief Exec James Lowman. The Government has defended the initiative because the power is being given to local councils and shop workers are guaranteed the option to work on Sunday. “Extending Sunday shopping hours has the potential to help businesses and high streets better compete as our shopping habits change,” said a Government spokesman.